Today, Bandai Namco Entertainment’s SoulCalibur VI launches and brings with it another roster filled with weapon-based fighters. 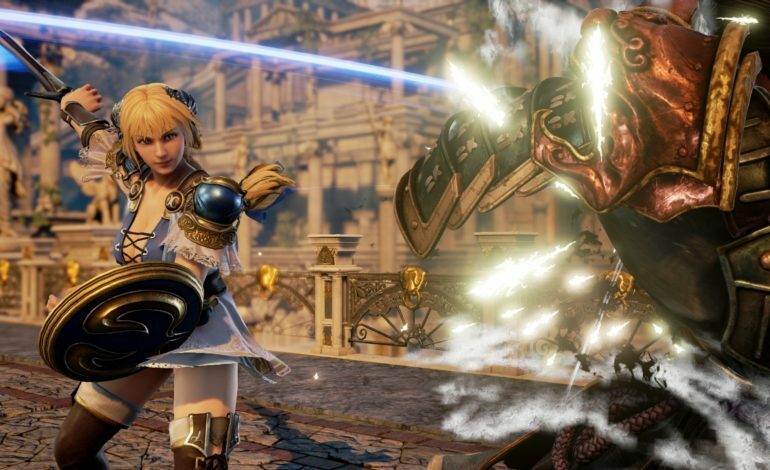 The focus on weapons has been a differentiating characteristic of the SoulCalibur series and the sixth entry of the franchise will be showing this feature off with improved graphics for the first time in Unreal Engine. The warriors’ weapons have also been tools for players to strategize what kind of approach they will take against their opponents. A new battle mechanic that SourCalibur VI introduces for all characters is the Reversal Edge, which is a way for players to read their challenger’s movement and execute a counter attack while still guarding. The story will again center on the clash between the Soul Swords and the original villain, Inferno. This mystical being that started the struggle years ago is returning to the story with the ability to mimic all fighting styles and possess any weapon. It will be interesting to see players’ reception to the fighting title’s campaign and the connectivity speeds of its multiplayer. The multiplayer will consist of a competitive mode and a more casual mode. SoulCalibur VI’s roster launch will consist of approximately twenty characters with a couple new faces and fan favorites like the horrifying Nightmare. One of these new faces is Geralt of Rivia from CD Projekt Red’s popular The Witcher games. More characters will be added to the roster over time in the form of DLC, though it is unclear on the exact number. Bandai Namco has released two videos as documentaries that describe the emergence of SoulCalibur and the lead up to the sixth title. The second part of the documentary also describes the fighting community and SoulCalibur’s participating role. For readers that want to start at Part 1 and would like to find more information, visit Bandai Namco’s news website. These short films may be an attempt by the studio to achieve stir up more talk about the game and create greater success with the series through higher sales. We touched on the possibility of SoulCalibur VI being the last in the franchise in an article back in August. SoulCalibur VI is now available for the Xbox One, PlayStation 4, and PC. Check out our previous discussion on the newest characters to the franchise like Geralt.